Under general supervision, performs a variety of highly responsible payroll and other related accounting processes to ensure accurate and timely payment of wages and accrual of benefits to full and part-time faculty, classified managers and staff, confidential and supervisory personnel, administrators, Board of Trustees members and student employees in accordance with legal requirements and sound financial management principles and practices; and performs related duties as assigned. Performs a variety of detailed and complex duties to prepare and process monthly payroll for full- and part-time employees in various employee groups, including full and part-time faculty, classified managers and staff, confidential personnel, administrators, Board of Trustees members, hourly employees and student employees; collects, reviews, verifies, audits, organizes and inputs source documents. 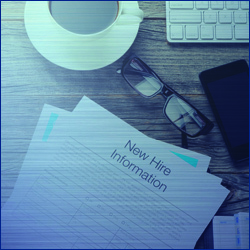 Processes personnel action forms for classified part-time and hourly new hires, position changes and terminations; verifies: calculations; budget, position and job numbers; and other information; codes and enters in the payroll system. Enters a variety data and deductions into the payroll system, including: tax withholding; deductions for voluntary benefits and union dues; direct deposit information and changes; pay docks and workers' compensation absences; enters corrections, adjustments, pro-ratings and overrides as required to ensure accurate pay and accruals. Reviews PACs and other information entered by Human Resource staff that affect payroll generation for accuracy and completeness and identifies, researches, analyzes and resolves discrepancies; sets up new employees in the payroll system; manually calculates new hire salaries, pay changes, step increases, longevity increases, holiday pay and other data; reviews, reconciles and balances benefits data. Administers the non-bargaining unit timekeeping system; reviews information entered and prepares data and reports for uploading to the payroll system; verifies and enters timesheet data for part-time counselors and instructors; verifies and enters timesheet information for supplemental payroll; runs reports and balances hours entered; identifies and works with appropriate departments and/or supervisors to resolve time reporting, position number and coding discrepancies. Assists in administering employee long-term leaves; creates leave calendars to determine when employees will switch to half-time pay; requests and enters absence slips; prepares notifications to employees and answers their leave questions; updates and reviews leave tracking lists; prorates sick leave balances and end leave plans for terminating employees; processes retirement distribution forms for terminating part-time employees; processes sick leave transfer requests to other school districts. Serves as an information resource on payroll requirements, procedures and processes; interprets payroll policies and procedures, legal requirements, bargaining unit pay-related provisions and benefits plan provisions; provides accurate and timely information and assistance to internal and external customers including administration, faculty, employees, county offices, other districts and the public; researches and handles daily inquiries from employees on a wide array of technical matters related to payroll; assists departments in analyzing and resolving payroll issues; refers active and retired employees to other appropriate resources as necessary. Processes garnishments and levies from the Internal Revenue Service (IRS), Franchise Tax Board, child support rulings, bankruptcy court decisions and other demands/entities in accordance with all legal requirements and provides all necessary information and payments to entity and employee; sets up calculations and codes in the system; enters federal and state withholdings and voluntary deductions; performs manual tax calculations as necessary using federal and state annual tax tables; tracks all payments and current balances; maintains records in employees files; sends checks generated by Accounts Payable or initiates and processes wire transfers; completes forms requesting employment and payroll information from various state and local agencies. Prepares and processes a variety of District, County, state and federal payroll-related forms and reports; processes various documents including tax withholdings, deductions and authorizations for direct deposit; compiles statistical and payroll data from a variety of sources to provide informational summaries to other staff and ensure compliance with established guidelines; maintains accurate records and system data. Assists District payroll staff in performing payroll support duties; prepares the payroll file for adjunct faculty and all classes categorized as overload for full-time faculty paid on Schedule C; audits and processes monthly and substitute timesheets and monthly payroll documents for the Police and Fire Academies; prepares and distributes absence slips for lecture, lab and non-instructional absences; processes absence slips following Dean signature; maintains a database of Schedule C faculty absences; manually calculates and enters sick leave accruals; prepares reports on semi-annual parity pay stipends for Schedule C faculty; matches time slips and absence forms and submits to District Payroll Office monthly; runs reports to verify accuracy; researches and resolves issues and questions from faculty, staff and managers regarding payroll and sick leave; works with District payroll staff to resolve pay discrepancies. Works closely with the appropriate parties to research and resolve system problems and issues. Researches and responds to EDD requests for information and new hire benefit audits. At year end, moves all payroll files to prior years' folders and prepare new files. Methods, procedures, best practices, documents and terminology used in payroll processing and recordkeeping. Laws, regulations, collective bargaining agreements and memorandum of understanding (MOU) provisions applicable to timekeeping, payroll preparation and pay reporting. Paraprofessional accounting methods and practices and associated internal control policies and procedures. Use and operation of applicable modules of an enterprise accounting and finance system. Federal and state laws, codes and regulations and policies and practices pertinent to assigned areas of responsibility. Customer service practices and etiquette. Principles and practices of sound business communication including English usage, spelling, grammar and punctuation. Recordkeeping and filing practices and procedures. Modern office practices, procedures and equipment including appropriate software applications. Carry out work independently, ensuring a high degree of accuracy and the timely payment of wages to District employees in accordance with various deadlines and changing priorities, while ensuring excellence in customer service. Collect, obtain, evaluate and interpret technical and specialized payroll information correctly and explain information accurately and precisely to customers. Understand, interpret, apply and reach sound decisions in accordance with applicable law, rules, regulations and procedures. Exercise sound independent judgment within areas of responsibility. Organize and maintain office and specialized files. Communicate clearly and effectively, orally and in writing. Prepare clear, concise and accurate reports, correspondence and other written materials. Exercise a high degree of tact and diplomacy in dealing with sensitive, complex and confidential personnel issues and employee situations. Maintain the confidentiality of documents and records. Graduation from high school or GED equivalent supplemented by 15 college units in accounting and at least four years of progressively responsible paraprofessional payroll experience; or an equivalent combination of training and experience. Experience in a college or university or another governmental agency is preferred. Completion of sixty college units including fifteen units in accounting ORan associate degree in accounting, business or a related field is preferred. While performing the duties of this class, employees are regularly required to sit; talk or hear, both in person and by telephone; use hands repetitively to finger, handle, feel or operate computers and standard office equipment; and reach with hands and arms. An employee is frequently required to stand and walk; and lift up to 10 pounds and occasionally up to 25 pounds. While performing the duties of this class, employees are regularly required to use written and oral communication skills; read and interpret data, information and documents; analyze and solve problems; use math and mathematical reasoning; learn and apply new information and skills; perform highly detailed work on multiple concurrent tasks; and interact with managers, supervisors, employees, vendors and others encountered in the course of work. Employees work in a typical office setting and the noise level is quiet. The employee may be required to travel to locations other than assigned work site and to adjust to work schedule changes and requirements to work overtime. The assessment process will include an online competency assessment (60% weight) and an oral interview assessment (40% weight).Of those achieving a passing score on the competency assessment, only the 15 highest scoring candidates, plus ties, will be invited to the oral board interview assessment. Passing score is 75% out of 100% on each assessment section. Candidates who attain a passing score on each part of the assessment will be placed in rank order on district wide Open-Competitive List.Using the same process, a separate Promotional List will be established and both Lists will be used concurrently.Unless otherwise indicated, the eligibility list will be used to fill current vacancies for at least one year.